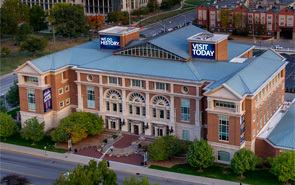 IHS programs at the Eugene and Marilyn Glick Indiana History Center are designed to help people make a personal connection with the past and with the community. 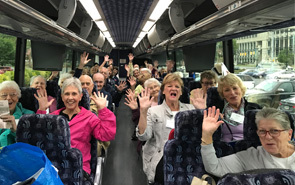 We are proud to offer interesting and relevant workshops, speakers, and programs and events that enrich the lives of Hoosiers and offer you a unique perspective – and a great time! And in our efforts to collect, preserve, interpret and share the past, we never want to forget the importance of celebration. Our cultural heritage is built on the legacy of notable musicians and artists, and the Frank and Katrina Basile Theater at the History Center celebrates that legacy by being a venue for talented Hoosiers from across the state. For more information about our programs, call (317) 232-1882.